Tents | Tirpal Udyog - Tarpaulins, Canvas, Silpaulin, PVC Coated, HDPE/LDPE Coated Fabrics, Drill, Twill, Suede, Air Mesh..
We are one of the most trusted names of the industry engaged in offering Tent Fabrics and Tent accessories to the customers. These fabrics are manufactured using high quality material procured from some of the reliable sources. These fabrics are treasured for their features like durability, high strength, colorfastness and fine finish. We offer these fabrics in different specifications to meet the varied needs of the clients. 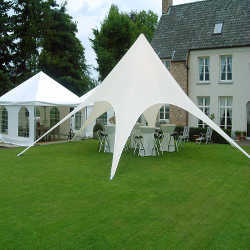 We are offering a large range of PVC Coated Tents which are available in a variety of colors, sizes and thicknesses. 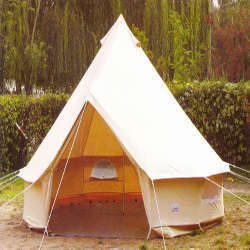 These tents provide a sense of security being sturdy and resistant to any sort of damage. They are an ideal choice in case of a large gathering of any kind. These tents involve minimal effort in assembling and disassembling and serve their purpose in providing ample amount of space. Their usage is applicable for a wide variety of occasions. We are an unparalleled name, engaged in offering an excellent quality range of Cotton Fabrics. Fabricated using supreme class fibers & yarns with the help of latest technology, these fabrics are available in plethora of patterns and colors as per the requirements of clients. These fabrics are stringently tested on various parameters to ensure their optimum quality. A mosquito net offers protection against mosquitos, flies, and other insects and thus against the diseases they may carry. 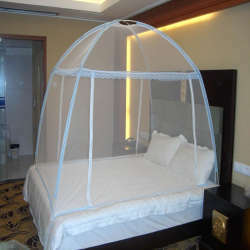 We hold expertise in offering our clients a wide variety of Mosquito-Nets. These Nets are crafted by our experts using supreme grade fibers with the help of latest machines keeping in mind latest market trends. Clients can avail these nets from us in various colors, sizes and finishes as per their specific needs at highly competitive price. As an eminent manufacturer and supplier, we are instrumental in offering an excellent quality range of Tent Ropes. 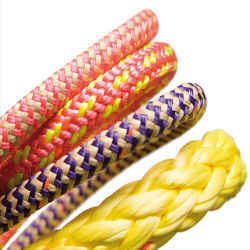 These ropes is manufactured by our experts using of high grade fibers. Available in different finishes, patterns and colors to suit specific requirements of client's Tents, the offered tent ropes are extensively used for various kinds of tents. With the assistance of our designers, we are engaged in supplying Tirpals. 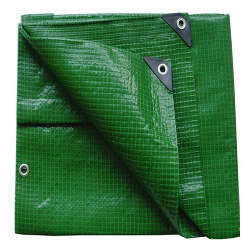 Tirpals offered by us gives complete protection against water or any other leakage. Further, these are available in various sizes and patterns.